One of the subjects in ”De muzikale verleiding” that Dolf Hell and I didn’t really worked out in the way we would liked to have done, is how things exactly went in soccer stadiums. 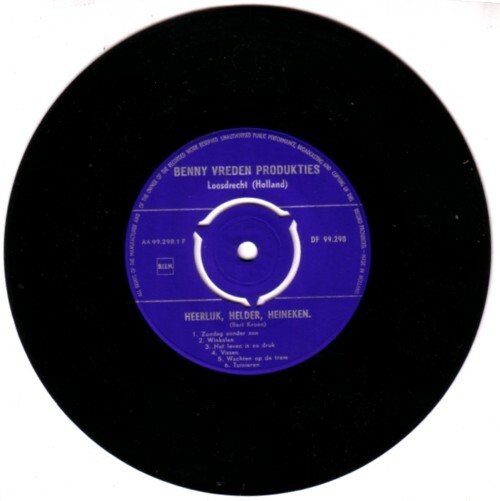 We knew that Benny Vreden was the first to make records with advertisement songs especially for playing in soccer stadiums, but we could not find much information on this. Last week Pim Reinders, the man who runs Reclame Arsenaal and who was the motor behind ”De muzikale verleiding”” , announced that Reclame Arsenaal has now 75.000 pages from Dutch advertising magazines available on line. (Here.) I just spend an hour searching for things that interest me, but 75.000 pages is a lot and I need more time to get an idea of what these 75.000 pages have to offer for me. 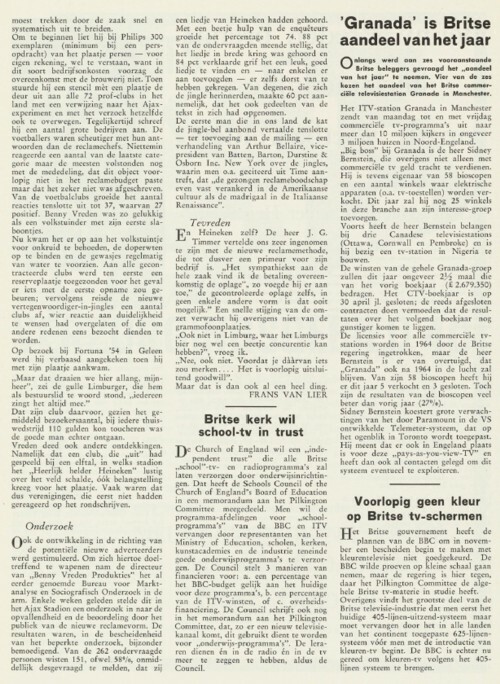 Pim sent me an article that Frans van Lier has written in 1961 for ”Ariadne” about the advertisement records that Benny Vreden has made for soccer stadiums. It would have been nice if we had this info a year earlier, but I am happy to have it anyway. 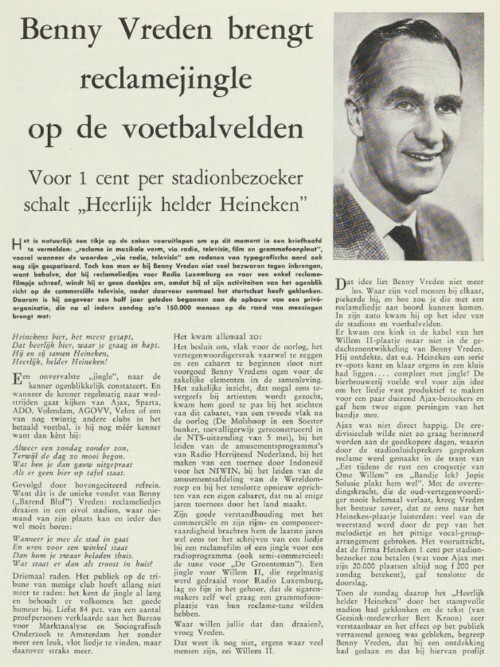 Here is the Heineken song mentioned in the article.